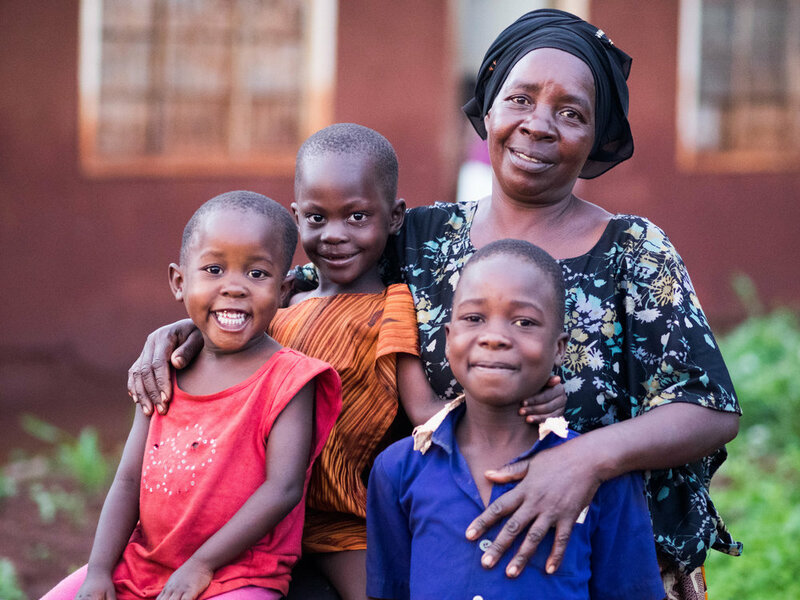 Annet is a grandmother caring for four of her grandchildren. Her youngest grandchild spent her first few years in an orphanage because Annet was not able to care for her. The orphanage saw how much Annet loved her and wanted to raise her and so they asked Abide to come alongside Annet so that her granddaughter, Anna, could go home. Annet went through Abide’s parenting and business classes while her grandchildren attended our child development center. When she graduated she started a small business selling charcoal and ground nuts. She has been so successful she has since been able to enroll all four of her grandchildren in school. Annet says, ‘today we are one big happy family. Nothing will ever separate us. I am determined to work hard and keep my gifts from God. My grandchildren’.